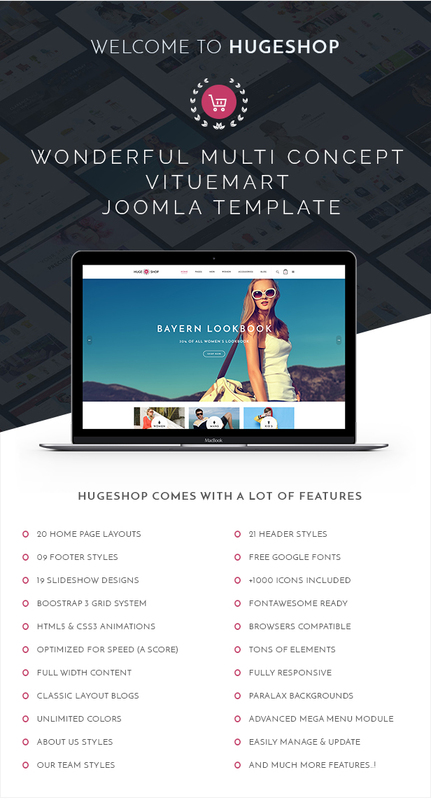 JV HugeShop is a vast and amazing multipurpose Joomla Template that comes with incredible features of builder options and elements that are eager to set up shop in any number of different website archetypes, without having to write any code themselves at any time. This template is really easy to customize and comes with Real Quickstart Installation Package for joomla 3x, various extensions and custom code for your customization. You can have an opportunity to customize your site in the perfect ways.